Playing your Free Hit chip this weekend? Our Gameweek 33 Daily Fantasy Premier League Tips select players from Saturday’s three fixtures for their goal and clean sheet potential. Whilst these selections are based on the Starting 11 game and scoring system, you may also find them useful and relevant for Fantasy Premier League Gameweek 33. You can challenge the community by downloading the FREE App on Android or iOS and create a team. 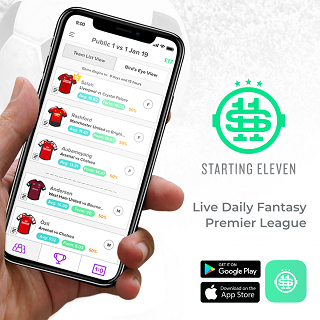 Their latest app update sees players classified in the same position as they are in the Official Fantasy Premier League game! Leicester have 4 wins from 5 since a change in personnel, scoring 10 goals and keeping 1 clean sheet. Meanwhile, Huddersfield’s relegation fate has been sealed, scoring just 3 goals in their last 4 games and conceding 8. Another Foxes win is on the cards for Gameweek 33. 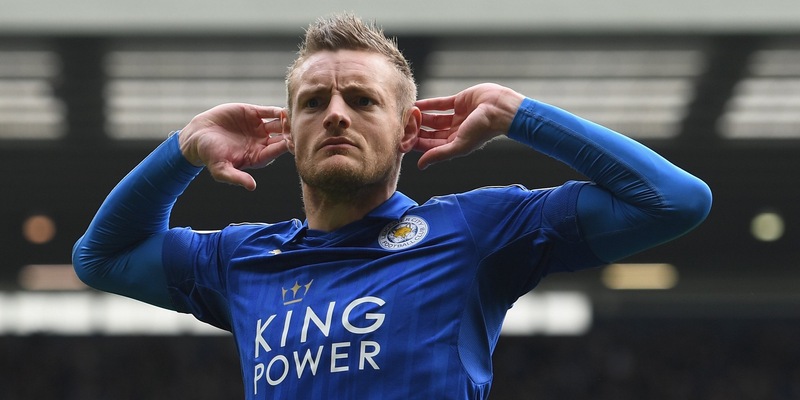 Jamie Vardy has been revitalised in recent weeks: he has 5 goals and 1 assist from his last 5 appearances, blanking just once. He also has penalties in his locker too. Behind Vardy, Maddison and Tielemans could provide the creativity for Leicester’s goals: Tielemans has returned a goal or an assist in each of his last 5 Premier League games. Pereira has one clean sheet in his last 4 games, but it’s his attacking potential of most interest: 2 goals and 6 assists is an excellent attacking record so far this season. With the reverse fixture ending 4-0, expect another haul of Gameweek 33 daily goals for Bournemouth and Burnley when they meet on the South Coast this weekend. Burnely are in the midst of a relegation scrap: they have 1 clean sheet in 4, scoring 6 and conceding 9. Bournemouth have scored 4 goals and conceded 5 in their last 4 games. Barnes and Westwood have been at the heart of the goals for Burnley in recent games: between them they have two goals and 1 assist in their last 4 games. Josh King and Ryan Fraser have the best form of Bournemouth’s attacking assets: King was the star of the last blank gameweek with a brace, plus he’s on penalties. It’s one clean sheet in 4 for Crystal Palace and a shut out in the reverse fixture. The Palace defenders are often among the goals: it’s 6 goals in 4 games for the Eagles. Meanwhile, Newcastle have failed to score in 2 of their last 4 games, scoring 5 goals. Guaita has made 14 saves in his last 3 games, including keeping a clean sheet last weekend: he put in an impressive performance against Spurs making 8 saves. Wan-Bissaka and Patrick Van Aanholt are involved in plenty of Palace goals: with a goal and an assist between them in recent games. Starting 11 have contests available this Saturday. 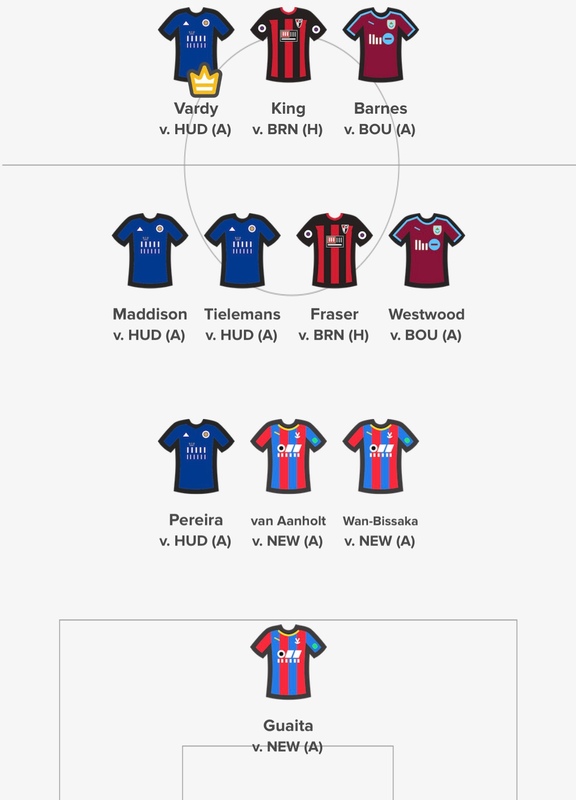 Here’s the Gameweek 33 daily team we will be lining up with on Saturday. BEFORE YOU GO… There’s £25.00 on offer for the winner of FPL Tips Mini-League on Starting 11 this Saturday. It’s FREE to ENTER – Click the banner above to get involved!